This is not the first time I’ve written a Stitch Fix Men review. A few years ago I wrote about online styling services for Parade. Then, right here on this blog, I did a roundup of the best men’s online stylist services. So why am I writing a separate Stitch Fix Men review now? Because Stitch Fix finally has extended sizes. That means that my big-and-tall husband could finally use a men’s personal shopper online via Stitch Fix Men and have his own version of a big and tall monthly box. In case you don’t know, Stitch Fix is an online styling service that sends you clothing in the mail. It is not a subscription box, in that you don’t pay a monthly fee. You can order a Stitch Fix box whenever you’d like, through the website or the Stitch Fix app. Once you try something on, you can keep, return or exchange an item. With traditional subscription box services, you have to keep whatever the company sends you. Not with Stitch Fix. I’ve been waiting years to get my husband to try the mail order styling service that I’ve come to love. I love that he can have a big and tall monthly box of his own now. But back to my husband. Finally, he could have a Stitch Fix account of his own. 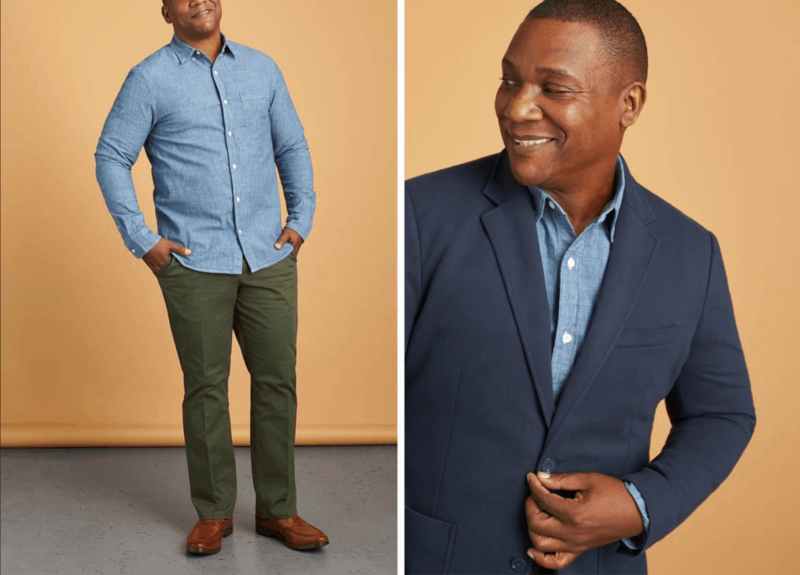 Stitch Fix Men is expanding its size offering and now carrying Men’s sizes XS-3X in tops, 28”-48” in waist, and 28”-36” inseams. We’ve also updated our tailored styles. Look to your Stylist for elevated suit separates, dress shirts and dress shoes. For the active moments, Stitch Fix Men is adding performance pieces for every activity from golf to running to hiking. This was great news for my husband. Previously, he’d only been able to get clothing from Bombfell online styling company. I’ll be honest–as a busy executive, he didn’t have time to do the signing up. So I did it for him. If your significant other is busy like mine, go ahead and sign him up. 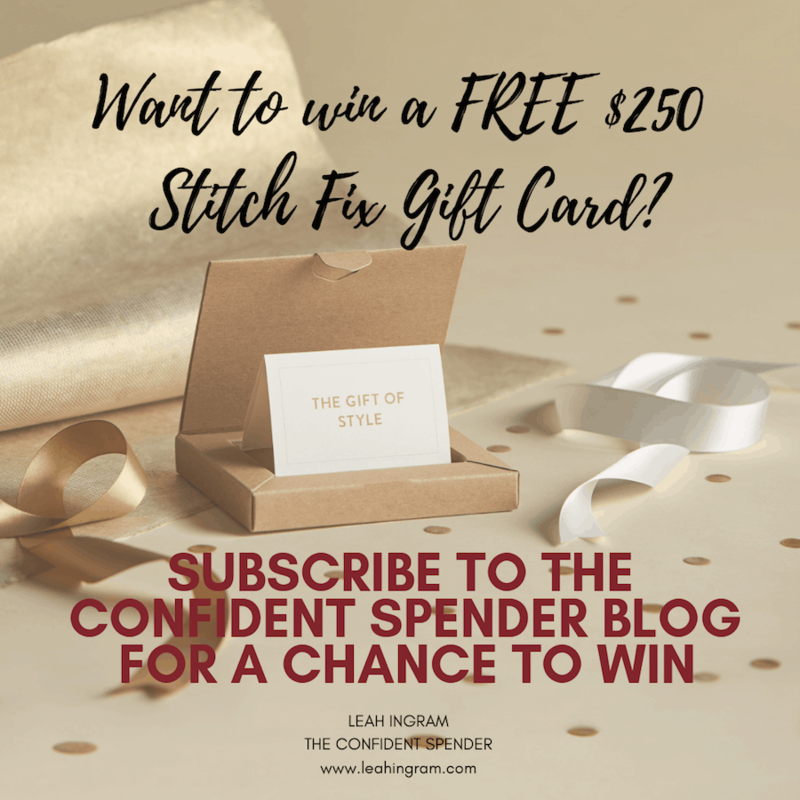 Just like when I registered for Stitch Fix years ago, the whole process was super easy. It required looking through a bunch of different outfit looks to create a style profile. What was different about the Stitch Fix for Men’s experience of creating a style profile were the questions on how the customer likes clothing to fit. I know with the women’s style profile fit, the questions were more about body parts. That is, which parts of your body do you like to show off and which parts of your body do you like to keep covered. 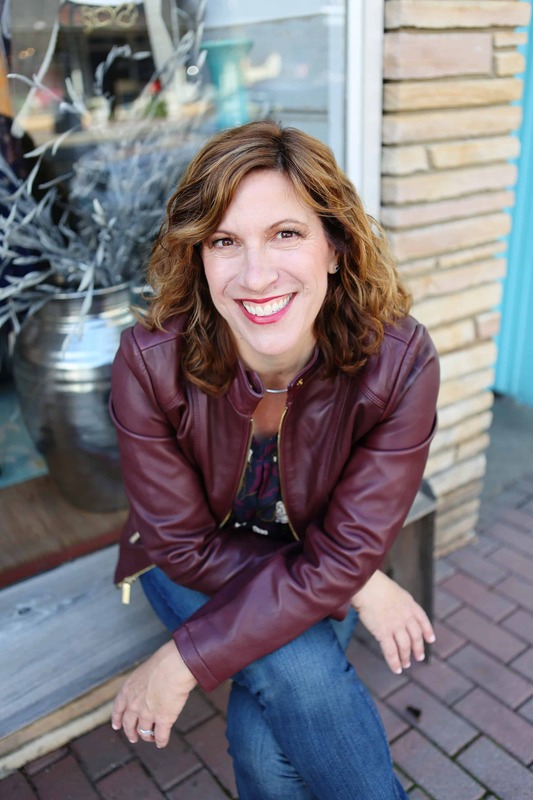 With the men’s questionnaire, Stitch Fix wanted to know with regards to shirts, jackets, jeans and more, did my husband like a slim fit, average fit or a baggier fit. Because this was going to be Bill’s first Fix, the website explained that he would receive many more than the five pieces that come in most Fixes. After his first few Fixes, when Stitch Fix was figuring out his likes and dislikes, he could expect to receive only five items. Of course, now that the fashion styling company is offering Stitch Fix Extras, it’s easy to bump up the number of items you receive. For Bill’s first Fix, I added in some boxer briefs. About a week after I’d signed him up and completed the style profile, his Stitch Fix for Men box arrived. It was interesting to see how slightly different yet on-brand the men’s version of Stitch Fix compared with the women’s version. The color of the box was more of masculine green than the light blue color of the boxes my own Fixes arrive it. Inside, things were different, too. The clothing in a men’s Fix come wrapped in a heavyweight, brown craft paper. It looked super classy. Women’s Fixes come with white tissue paper, which is pretty in its own right. The box itself was much bigger. Then again, it had eight pieces inside. And since my husband is 6’3″, well, his clothing should take up more space than mine do. I’m only 5′ 4 1/2″. That makes sense for a big and tall monthly box. Like with my own Fixes, Bill could expect to pay a $20 styling fee for his box. That $20 would be credited to whatever he kept from the box. To be completely transparent, when we signed Bill up for Stitch Fix for Men, it was because I’m working on a review of workout clothing subscription services. I’d ordered a workout Fix for myself and wanted one for Bill, too. As a so-called Stitch Fix Influencer, the folks at Stitch Fix offered to comp us for the workout boxes. When his Fix arrived, it was a mixed Fix, if you will, of workout clothing and everyday clothing. Ironically, he ended up loving the everyday clothing more than the workout clothing. So I had to alter my plan to write a Stitch Fix Men review to be about the everyday clothing, not the workout clothing exclusive review. As I mentioned the reason Bill hadn’t tried Stitch Fix until now was because he needs tall sizes in shirts. Only one of the Stitch Fix shirts was a legit tall size. 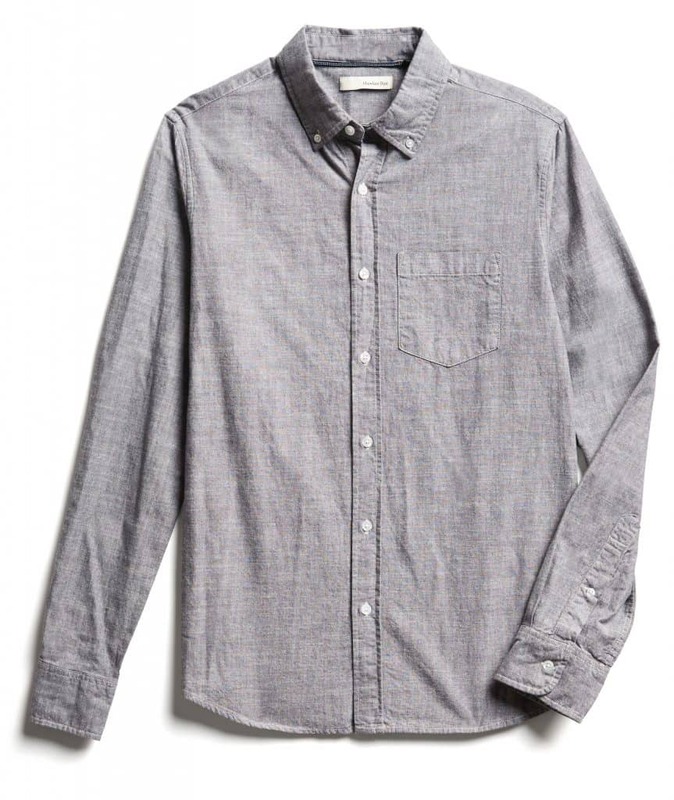 It was a grey chambray button down, long-sleeved shirt from Hawker Rye (shown, below). He loved it. It was definitely a keeper. The Hawker Rye chambray shirt he loved from his first Stitch Fix Men box. Bill wanted the gray Fairlane V-neck sweater to work but it was too tight in the bodice. The sleeves and neck were perfect. He could have sized up with an exchange but he was concerned the sweater would be too big overall. So he returned the sweater. There was one other keeper that Bill was excited about. It was a pair of green khaki stretch pants, also from Hawker Rye. Stitch Fix delivered them in the exact waist size and inseam that I’d included in his style profile. However, the slanted front pockets were pulling weirdly. With the Hawker Rye green pants, he decided to exchange them. Once he had indicated that, a drop-down menu appeared. It showed all of the sizes available that he could select as an exchange. He was able to choose the next waist size up. Hopefully when those arrive–Stitch Fix ships it for free–they’ll fit perfectly and the pockets won’t pull. The 01Algo performance pullover Stitch Fix shirt was a tough call. Bill loved the fabric. He loved the fit. But it came in black. Bill really likes green and wanted the pullover in that color. When he clicked “exchange,” he discovered that Stitch Fix limits exchanges to sizes only. He really wished that there had been an option to exchange for a different color, too. So he returned the pullover, too. The rest of the Fix just didn’t work for him. This was because the clothing didn’t fit in a way he liked or were colors he didn’t like. With the jeans, well, he just couldn’t justify spending $97 on a pair of jeans. Even with only keeping two items, Bill says he would definitely use Stitch Fix for Men again. That chambray shirt really won him over. It is so different than what he normally wears on the weekend. He probably never would have chosen such a shirt in the store. But when it showed up in his Stitch Fix for Men box, it was love at first sight. 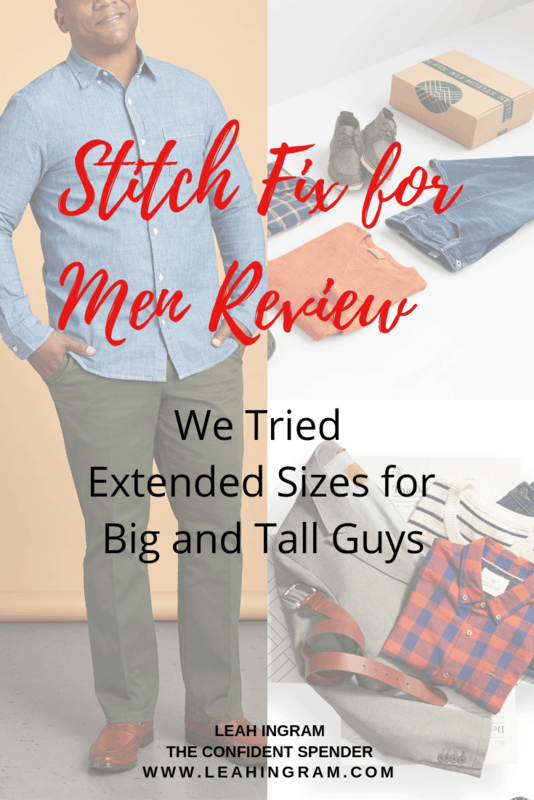 Prior to Stitch Fix offering its expanded sized, I’d had my 31-year-old brother Josh sign up to try it out so I could write a Stitch Fix for men review. Here’s a recap of his experience. I write more in detail in this popular post on online fashion styling services just for men. Josh found the sign up and style profile creation process for Stitch Fix Men easy and clear. When his Fix finally arrived, it was spot on. 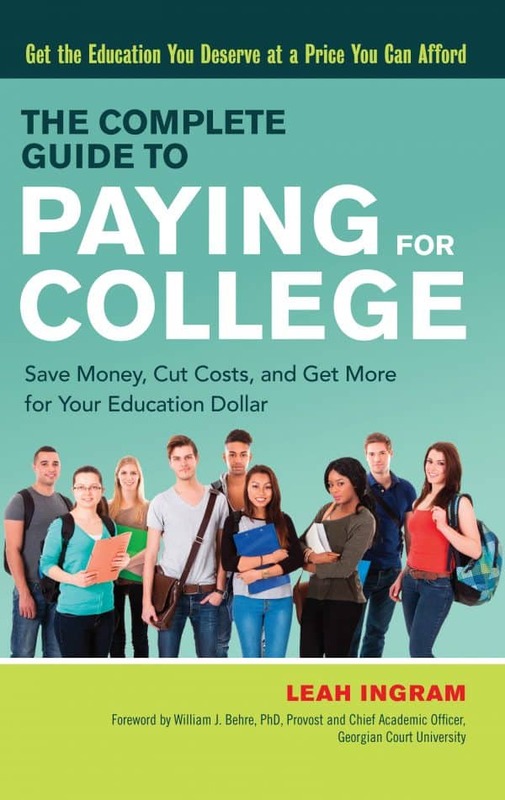 “They did a pretty good job, actually really good. The stuff they chose was quality and really solid. It was really customized,” Josh says. His Fix included two shirts, a belt, a pair of pants and a sweater. He was impressed with the packaging inside the box. Josh liked the styling cards that come with each Fix. He found the suggestions on how to wear your items with other products helpful.